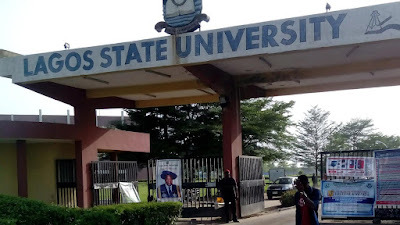 Three staff of Lagos State University Mubin Raji 43, Alli Ajose 58 and Bankole Odofin 62, were yesterday arraigned before an Ebute-Metta Chief Magistrate’s Court sitting at Oyingbo over alleged abuse of office, false certificates and extortion. The defendants are standing trial on a nine count charge bordering on conspiracy obtaining under fasle pretence, abuse of office, false certificates by public officers, extortion by public officers, corruption by public officials, acceptance of gift from agents, forgery and stealing preferred against them by the police. The prosecutor Inspector Chinalu Uwadione told the court that the defendants committed the alleged offences between January 2011 and September 2017, at the Lagos State University LASU, Ojo Lagos. He said that the trio and others still at large conspired among themselves and intentionally performed an act in violation of the rules and regulations of LASU, in the discharge of their duties, for the purpose of obtaining undue advantage to themselves. Uwadione said that Rajo and Ajose presented a false West African Examination Certificate (WAEC), to the Lagos State University Authority to gain employment, which they knew to be false. He also alleged that Ajose obtained the sum of N20,000, from one Kingsley Azubike, under false pretence that he would help him to remove his fake O Level WAEC Certificate, he used to gain employment into Lagos State University, a representation he knew to be false. The prosecutor said “ Mubin Rajo forged West African Examination Certificate (WAEC) O Level result and submitted same which gave him employment into the Lagos State University in year 2011, with intent that it may be used or acted as genuine to the prejudice”. “Bankole Odofin received monies from students of the Lagos State University to alter their results and also upgrade marks for them “ He said. According to the prosecutor, the offences committed are punishable under sections 411, 73 (1) ( 2) ,74 (1) 314 (1) (a), 287, 365 (1), 63 (1) (a) & (b), 68 (1) and 65 (1) (a) &(b), of the criminal laws of Lagos State, 2015. However the trio pleaded not guilty to the charges. Chief Magistrate Mrs O. I Adelaja, granted them bail in the sum of N500,000, each with two sureties each in like sum.